A Border Patrol officer inside his vehicle guards the fence near San Diego across the border from Tijuana, Mexico. The move comes as President Trump continues to demand more than $5 billion from Congress for border security and a wall along the U.S.-Mexico border. Congressional Democrats oppose the move, and parts of the federal government have been shut down because of the impasse. Last month Trump tweeted that "the Military will build the remaining sections of the Wall" after he said that much of it already has been built. The president was referring to several hundred miles of existing fencing along the Southern border. A few days later, Trump repeated his intention to have the Defense Department do the job, saying in another tweet that because of crime and drugs flowing through the border "the United States Military will build the Wall!" The request will very likely mean the deployment of more forces, including combat engineers and aviation units. 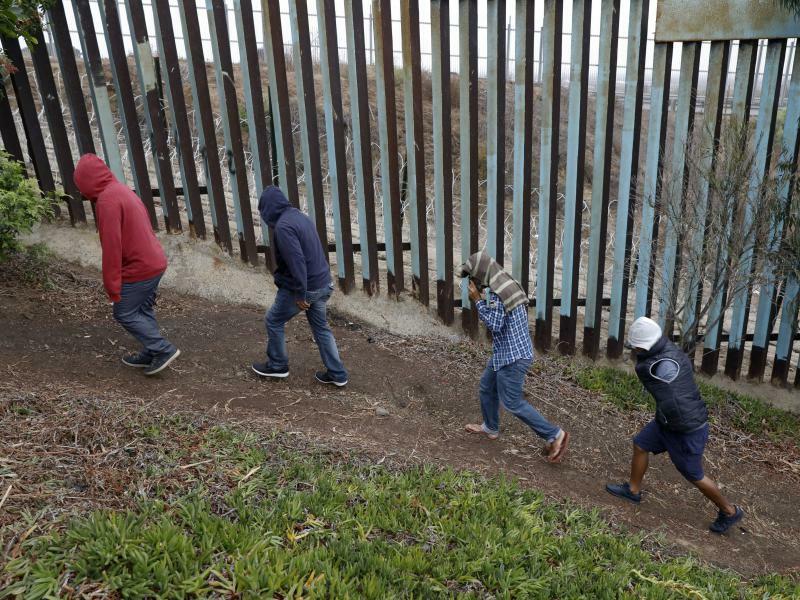 There are now some 2,300 active troops on the border and an additional 2,100 National Guard troops. A senior military official said the new request could include thousands more troops and that installing the fencing could take months. The Pentagon is now considering which units to send. With the partial government shutdown now in its second week, Trump made a short and unannounced appearance in the White House briefing room Thursday to press for border wall funding. "The wall — you can call it a barrier, you can call it whatever you want — but essentially we need protection in our country," he said. The government shutdown grinds on over funding for President Trump's border wall. 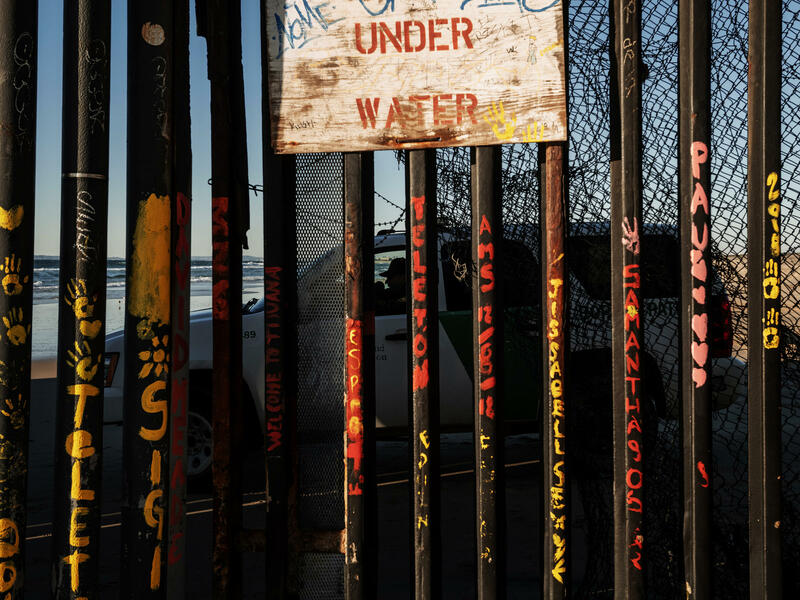 But meanwhile, the Trump administration is moving ahead with plans to construct or upgrade border fencing, some 160 miles along the Arizona and California borders with Mexico. Active duty military will take up the task. Here to tell us more is NPR's Pentagon reporter Tom Bowman. And, Tom, what exactly is the task? What is the Pentagon going to be doing? TOM BOWMAN, BYLINE: Well, I'm told this fencing - send likely combat engineers for the fencing portion of this effort, but it goes beyond that. Homeland Security is requesting medical units. Of course, two children died along the border in the custody of U.S. officials, so the sense is they need additional help for the migrants coming through. And I'm also told aviation units would be part of this as well. They'd provide surveillance along the border to help Customs and Border Protection monitor any movements. And again, this is support for that effort. Active duty troops can't get involved in any arrests or detention of any migrants. It's against the law. KELLY: And to be clear, this is something new. This is on top of the existing troops already deployed to the border. BOWMAN: Right. So this is new. This is just coming out now. This request was made from Homeland Security. KELLY: How many more are we talking? BOWMAN: Well, we don't know at this point. I heard some - one official said maybe thousands of troops. Another said, well, the existing troops might be able to help. There are now 2,300 active troops there on the border along with 2,100 Guard forces. They could provide some of this effort. But clearly, they're going to send additional troops. They could change them out or some could be extended. But acting Defense Secretary Patrick Shanahan hinted about more support at a Cabinet meeting at the White House yesterday. Let's listen. PATRICK SHANAHAN: Restoration of the fences, building out of additional mileage for the wall. The Army Corps of Engineers is dialed in on doing this cost effectively, quickly and with the right amount of urgency as to where we can build additional stand-up walls quickly and then get after the threat. The threat is real. BOWMAN: And he goes on to say that he'll provide assistance to Homeland Security Secretary Kirstjen Nielsen, who's making the request to the Pentagon. KELLY: Any timeline on how long these active duty troops might be there? KELLY: That's a lot of fencing. BOWMAN: Right. Active troops are supposed to end their deployment, by the way, at the end of the month. So some could be extended, maybe other units could take their place. But what we don't know right - well, the Pentagon is working on the specifics, so we don't have a lot of detail at this point. KELLY: Let me insert a skeptical question here. The president has said if he doesn't get money for a wall from Congress, he might just order the military to build it. Is that what is going on here, the president doing something of an end-run around the border standoff? BOWMAN: That's quite possible. At this point, the talk's with Congress. The Democrats, in particular, appear to be going nowhere. The Pentagon - the president wants $5 billion for the wall. The Democrats are saying that's far too much. And the standoff continues. The government is shut down. But, of course, the Pentagon has not shut down, and they're ready to take orders from the commander in chief.